Gabrielle Chanel wanted her first collection of jewelry blanche as much as her petites robes were noires. A sidereal, cosmic white, the aura of planets, stars and comets in the form of chokers, pendants, brooches, diadems. And not only. 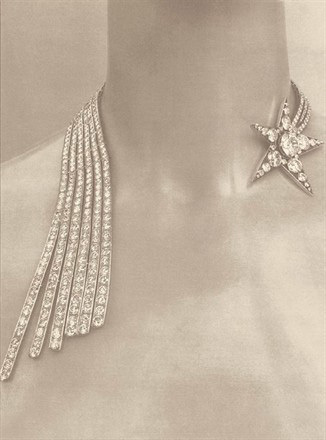 The collection Bijoux de diamants, dated November 1932, was soft, easy to wear and above all changeable.